For nature lovers, Palawan is a dream come true. Its scenic landscape features forested highlands, distinct rock formations, and rolling terrain teeming with wildlife. White sand beaches and breathtaking limestone cliffs create a unique seascape that visitors still remember with fondness long after their vacation. Mountain ranges carpeted with thick forests run the length of the island. The verdant canopy and leaf-strewn forest floor harbor an amazing variety of tropical fauna and flora — 98 bird species, 34 reptiles, 28 mammals, 12 amphibians, and 110 plant species. Endangered species such as the Philippine crocodile, peacock pheasant, blue-naped parrot, peregrine falcon, leopard Cat, and the Palawan flying fox have found a safe haven in the province. 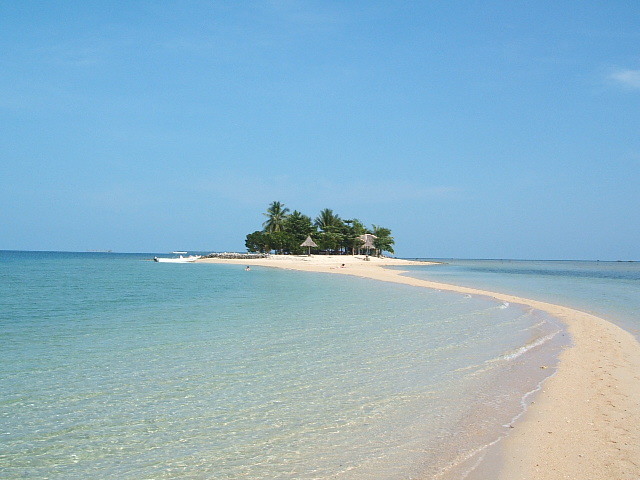 In its turquoise waters, tourists may chance upon the peaceful dugong or gentle marine turtles. Sightings of large manta rays, sperm whales, the finless porpoise and whale shark offer a rare treat to lucky visitors. Along the coast, 28 species of mangrove trees protect inshore areas. Palawan’s waters also hold oil and gas reserves including the Camago-Malampaya natural gas project, the country’s single biggest foreign investment. The southern half of Palawan has more terrestrial attractions such as mountains and waterfalls. In the town of Narra, bird-watching tours may be arranged in Rasa island, where the elusive cockatoo roosts at dusk. The highest peak in the province, Mt. Mantalingahan, straddles five towns and soars to a height of 2,086 meters above sea level. An endangered species, the Palawan mousedeer, is found only in the southernmost island of Balabac. Towards the north, white sand beaches and towering limestone cliffs are the main tourist attractions. From El Nido all the way to the Calamianes islands, picturesque rock formations and lagoons draw thousands of visitors every year. In Coron, most scuba divers go for the shipwrecks strewn in the bay. Northern Palawan holds the highest concentration of islands in the province, and draws water sports enthusiasts as well as sun worshippers longing for a secluded beach. Fringing and offshore coral reefs appeal to scuba divers and snorkelers, while spelunkers can have fun exploring the depths of Palawan’s countless caves. Palawan is remarkable in many ways. The discovery of archaeological relics in the Tabon caves, in the municipality of Quezon, proved that the province has had over 50,000 years of human occupation, the oldest recorded in the country. Pottery, china, and other artifacts recovered from the waters off the mainland attest to the flourishing trade between Chinese and Malays in Palawan many centuries ago. The influence of Spanish colonizers can still be seen in the ruins of fortresses and churches found in Taytay, Cuyo and Cagayancillo. Meanwhile, the legacy of the more recent American occupation lives on in the architecture of Iwahig Penal Colony in Puerto Princesa city, the former Culion Leper Colony in northern Palawan, and Cape Melville in Balabac island. Palawan is home to three major indigenous communities — the Tagbanua, Pala’wan, and Batak — and subgroups such as the Tau’t Bato and Molbog. Their ancestors are believed to have occupied the province long before Malay settlers arrived in the islands. Other native-born Palaweños are the Cuyunon, Agutaynon, and Cagayanon islanders that have distinct languages and traditions. All year round, festivals are sure to catch the eye of the cultural tourist. The lambay or honey-gathering ritual of the Batak signals the start of the hunting and gathering season in the early part of the year. The pagdiwata thanksgiving ceremony of the Tagbanua people follows in the summer, while the Baragatan festival is a welcome treat when June ushers in the rainy season. In the far-off island of Cuyo, the Ati-Ati festival during the Feast of St. Augustine on Aug. 29 is a must for music and dance revelers. Capping it all is the solemn runsay ritual of the Pala’wan just after the last full moon of the year shows up in the clear island skies.